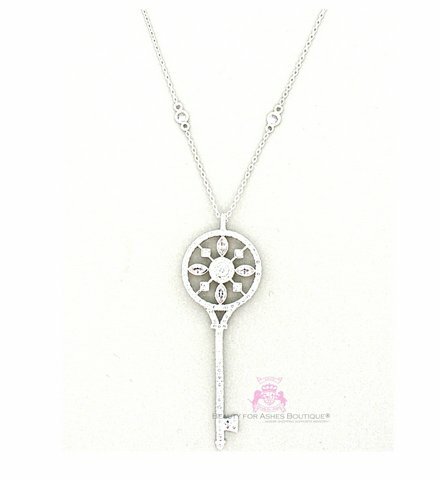 This key measures 2.25" long with a long chain featuring alternating cz's on the chain. Lobster Claw Closure. High Quality item.